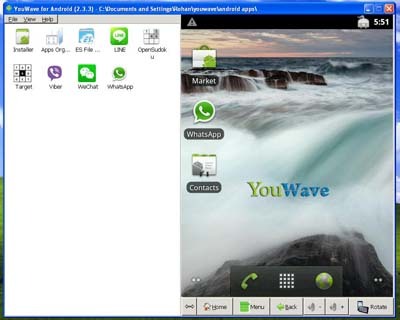 YouWave is a program that emulates the Android operating system on your mobile phone. Much like BlueStacks App Player, YouWave lets you try out Android applications and games on your PC in a way that lets you see exactly how they would look and play on an Android phone. YouWave simulates everything on the Android interface, like even the touchpad. In addition, YouWave offers Android 2.3 to latest versions i.e., 4* compatibility and also simulates an SD card. You can run games and even play multiplayer games online via YouWave. First, you’ll need to uninstall it if you have VirtualBox installed on your PC, you’ll need to uninstall it before installing YouWave. The installation process for YouWave works like any other program and is relatively simple. Just follow the install wizard prompts and you’ll be good to go in no time. By default, YouWave installs apps that are usually found on a new Android phone. You can access them from the menu: music, settings, browser, and more. To add new applications you can choose between two methods: through the Google Play Store or the application’s APK. You can access the Google Play Store from a web browser and download the applications you want directly from there. If you want to do it directly, you will need to have the APK file of the application you want to run stored in the YouWave apps folder. By default, the path is C:\Users\XXXX\youwave\android apps. On a practical level, despite some minor stability issues, YouWave works great. 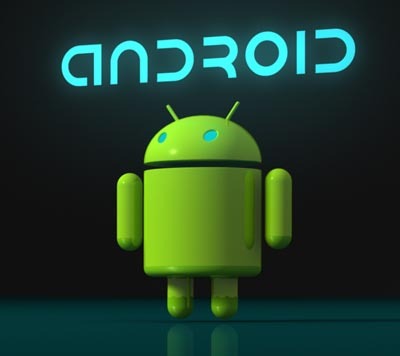 It allows external applications to load and simulates quite well on the Android phone interface. Thanks to YouWave you can access applications that were previously only available on your phone. YouWave gives Android enthusiasts the opportunity to try out apps on their PC in a simulated Android interface environment.